ShopVisible Commerce Insights Blog | Relevant insights from the leading experts for eCommerce and OMS solutions. Is Your Order Management System (OMS) Hitting the Wall? Take our OMS Readiness Test. Consumer expectations for omnichannel are raising the bar for fulfillment. Omnichannel consumers today demand rapid shipping, and accurate, up-to-date inventory and delivery information regardless of how, when, and where they shop. In fact in a recent survey, Forrester found that 52% of eBusiness professionals ranked omnichannel integration as a top technology investment priority. Easier said than done, and many retailers struggle with connecting existing channels and systems to make this possible. An omnichannel-ready order management system (OMS) is the key. It should be optimized to balance order processing and fulfillment factors like fill rate, service levels, delivery times and freight costs to make the best decisions about how to allocate inventory and service the customer. Does your current OMS allow you to be prepared for the omnichannel world? While there are hundreds of factors that you must consider, we have condensed it down to four major ones. Take the following OMS Readiness Test and see where you rate. Rate yourself 1-5 on the following requirements, with “5” being the most prepared. End-to-end inventory visibility is essential. Do you know where your inventory is located across all supply chain channels? 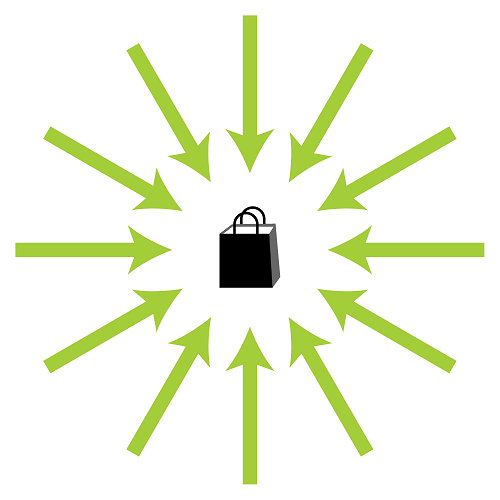 Retailers can’t guarantee delivery without being sure of product availability. They can’t set delivery schedules if they’re not sure the product will be ready for shipment as promised. When a consumer visits a retailer’s site, it’s supposed to accurately display what is available. Delivery of an incomplete, incorrect or delayed order is less and less tolerated by consumers who have so many other options on where to purchase. And they have no patience for anything other than a seamless returns process, regardless of channel. Omnichannel support requires that you respond to expected and unexpected events. For example, when a brick and mortar customer changes her mind on what she’s just purchased, can the store associate immediately locate the right product either in store or at a warehouse and arrange to have it shipped to her home or the store? Can a customer call center associate respond to customer request to change a ship-to address while the shipment is already in transit? Your system should allow appropriate users to create, modify and manage orders in real-time across every touchpoint. An omnichannel-ready OMS must be able to understand dissimilar drop shipper data formats, order processing, account setup and billing practices. It will need flawless logic to synchronize shipment of a complex order from multiple distribution centers. And perhaps its most important characteristic, it must be able to maximize efficiency throughout the supply chain to control costs. Total it up. If you scored 15-20 you are in pretty good shape. Less than that you may want to evaluate your OMS requirements and become more like the 52% who realize this is an investment priority. Your Customers Don’t Care About Channels. Why Should You? We couldn’t agree more with the recent articles by Matt Pillar Integrated Solutions For Retailer and Paula Rosenblum of Retail Systems Research about the limitations of the term “omnichannel” to describe today’s hyperconnected customers. What could be more comprehensive than “omni,” you might ask? Omni includes everything. The authors conclude, as we did in our white paper on this topic, that focusing excessively on customer buying channels might be shortsighted. While we might not be ready to completely throw out the term “omnichannel” completely (we are a technology provider after all, and what would we be without buzzwords). But we will admit, there are a lot of folks talking about it, and not a lot delivering on it. And it really comes down to a customer mind-set, not a technology one. We have identified six best practices to help make all on your way to becoming a more customer-centric business and truly delivering a seamless shopping experience, regardless of channel. (1) Review organizational roadblocks. Put the customer at the center of all decision-making and align your organization philosophically around serving the customer and selling more stuff. Break down silos between stores, website and mobile. Re-assess all aspects of the organization to ensure people, business processes, incentives, technology and internal structure support an omnichannel strategy. (2) Bridge the marketing and IT gap. Marketing is more reliant than ever on data. Technology is the “great facilitator” that will help cull, parse and analyze that information. These teams, especially, need to work in tandem to help you leverage this data to make more informed decisions around user experience and functionality. (3) Align sales and incentives. Avoid channel conflict by establishing a sales program with cross-channel incentives, attributions and measurements. The reward is you making the sale, instead of your competitor. (4) Deploy omnichannel technologies. Make sure the enabling commerce technologies you choose are flexible enough to integrate with your existing systems and support how your business runs. The ability to monitor, analyze and control all your retail activities from a central platform gives you the freedom from having to use, manage and update multiple solutions. (5) Integrate to accommodate. Ensure your platform integrates systems to talk with each other. Create your systems in such a way to handle integrated point of sale (POS) with systematic accommodations. (6) Talk to your customers. It’s good to read and hear about the latest tactics emerging in the market, but the best way to know what will work for you is to talk to your customers and share their insights throughout the organization. Their input can be invaluable in terms of understanding their specific needs, wants, pains and lifestyles. Put your focus on them and the channels will take care of themselves. Each year, our team looks at ShopVisible’s customer data to reveal consumer trends and pinpoint where eCommerce is heading. We compile these insights in our popular Influence & Impact report. 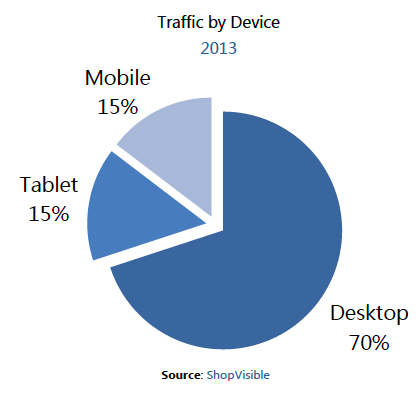 We just released our 2013 report, which uncovers a substantial growth in site traffic from mobile devices and tablets – rounding out to an average of 30 percent of all visits. In fact, smartphones alone accounted for half of this throughout the year, before peaking at 20 percent of all visits in Q4 during the holiday shopping rush. We’re all aware of the growth in tablet and smartphone use by consumers, yet a significant amount of retailers have yet to provide the complete buying experience through mobile optimization. The large increase in mobile visits did not correspond with a complementary increase in mobile sales, although we found that when mobile users do purchase, the average order value is comparable to that of desktop users. This likely signals that consumers are increasingly browsing from these devices but tend to transact more in a traditional browser/web experience. In addition to the omnichannel revolution, the data points to a strength in alternative payment methods such as PayPal, BillMeLater, and Amazon Payments. Over 25 percent of all online orders last year were paid for with something other than a credit card. It’s probably safe to say we will be seeing more of these payment services in the future, particularly with concerns of data theft still ringing in consumers’ ears. Finally, we identified an 8 percent overall increase in site visits as well as higher overall revenue for our clients in 2013 compared to the previous year. To learn more about best practices and how to get the most out of your eCommerce site, follow us on Twitter @ShopVisible. The Crocodiles Are Coming! And They’re After Your Business….. 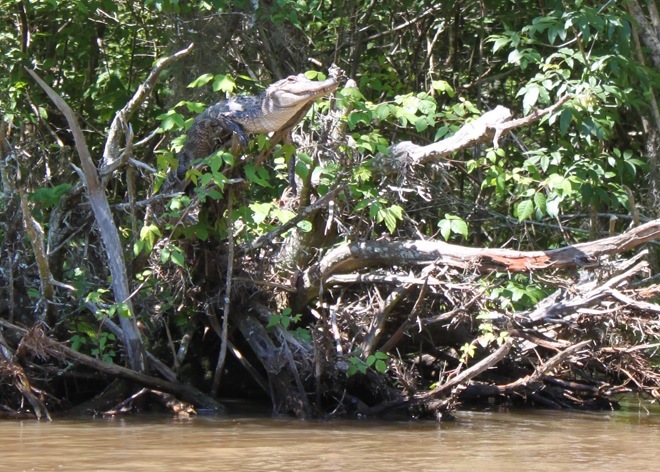 In Wired Magazine, a recent article entitled “Crocodiles Can Climb Trees,” caught our attention for obvious reasons. Evidently, the proclivity for scampering up trees is quite common in today’s crocodiles. As a team of scientists suggests in Herpetology Notes, (yes, there’s a publication called Herpetology Notes) the behavior exists as a means for regulating body temperature and/or surveying the environment. Wonderful! If just looking out for a man-eating reptile in the water wasn’t terrifying enough, it turns out now you have to worry about ambush from all kinds of unexpected places too. What does this have to do with eCommerce? If you think of it metaphorically, consider how your hunting grounds are changing. As a manufacturer or a wholesaler, you might think that you and your customers are safe right where you are comfortable, on top of your tree. But you are clearly not paying attention. Many more entrants are invading the ecosystem and climbing your trees, and if you are not adapting to new selling methods and channels for engagement, you are going to become crocodile lunch. Customers are getting restless too. More so than ever, customers want the option to self-serve at a time and place of their convenience. As a result, manufacturers are experiencing tremendous pressure to open up more buying channels. Keep in mind that today’s customers, regardless of whether they are purchasing for business or themselves, have high expectations for convenience and seamless user experience. They have been weaned on Amazon-like experiences, and expect the same wherever they buy. If you don’t give them what they want, somebody else will. So, poke your head out of your tree house, look around and watch out for the crocodiles. Like it or not, they are climbing your tree right now. You can stay where you are, or do something about it.